Finally, I've made my mind about making a blog. Yippiiiieeeee.. 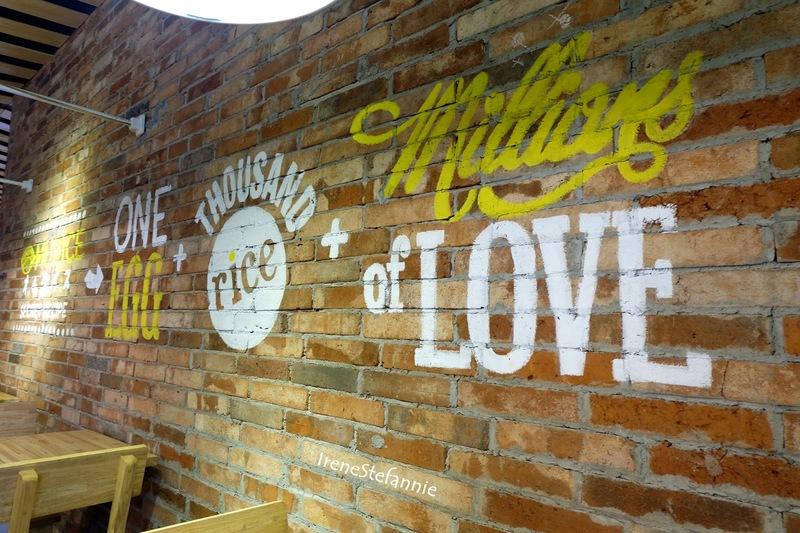 This was my 3rd time to have a lunch in Sunny Side Up which is located at Summarecon Mal Serpong (SMS). 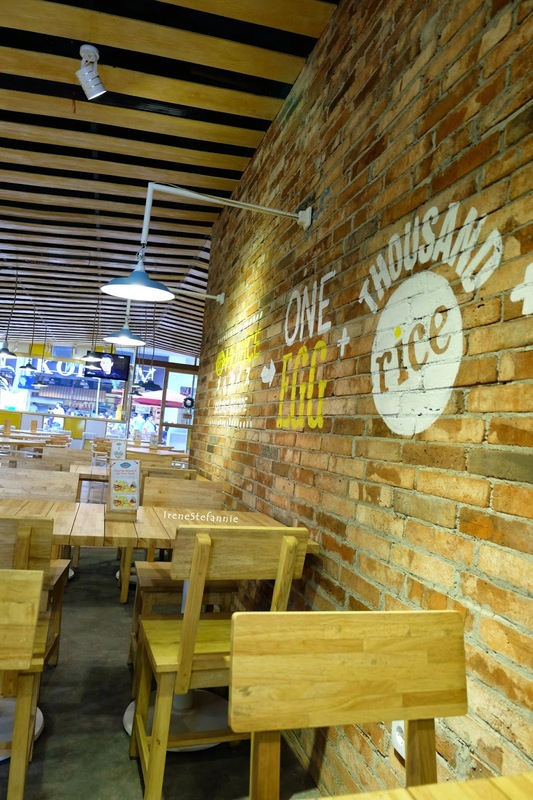 The Sunny Side Up has finally re-opened after renovation. 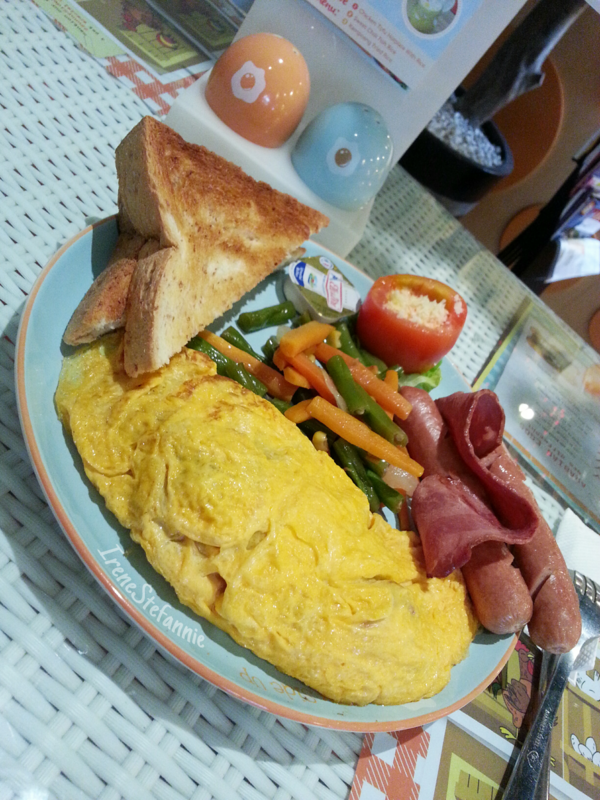 On my first visit, I ordered the breakfast set consisted of omelette, sausages, beef bacon, whole bread, tomato-egg and sauteed vegetables. You could choose the fillings for the omelette. That time I chose cheese and bacon for the omelette fillings. I was so full after eating it. Unfortunately, on my last visit, the breakfast set is no longer available. So, I decided to order Salmon Don for me and Beef Blackpepper Hotplate with Rice for mom. 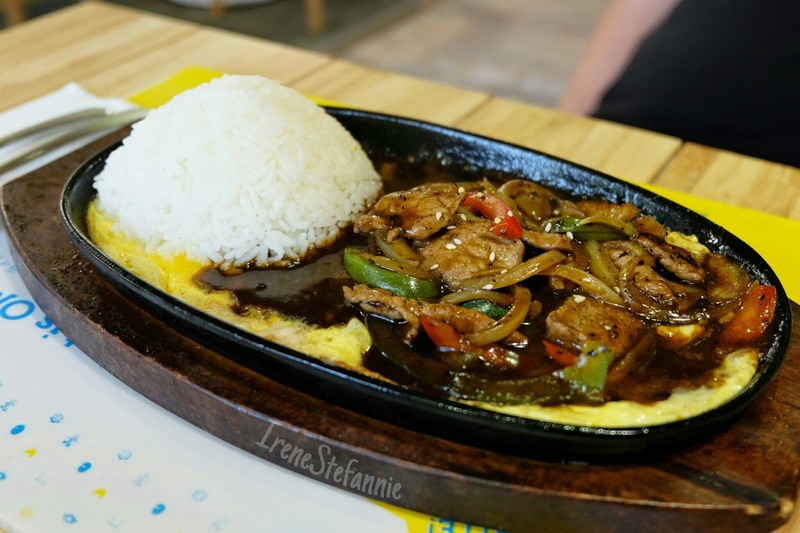 The hotplate was covered with fried egg, and on top of it there were the beef and rice. After tasting it, it was just okay for me. Nothing special anyway. The blackpepper sauce was good, but the beef was too chewy. 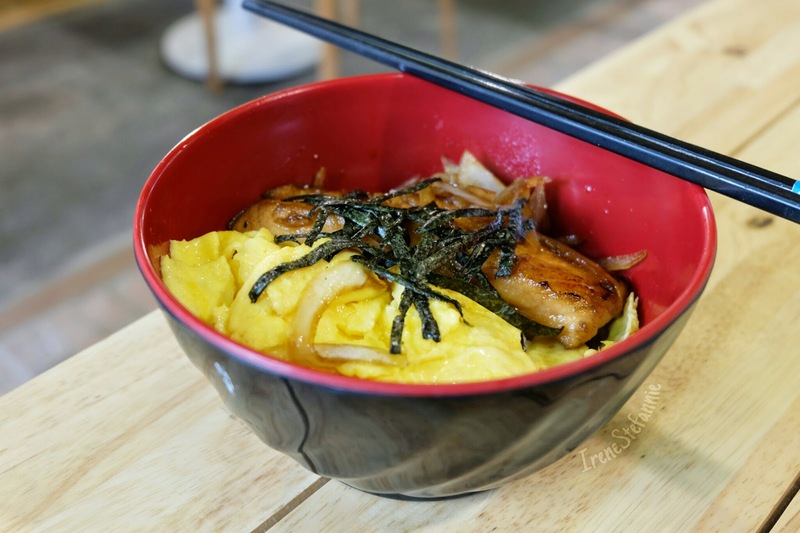 Salmon Don is actually a slice of salmon cooked with teriyaki sauce and onion which is served with steamed rice, fried egg and cutted seaweed. The salmon was a little bit overcooked and dry. It wasn't juicy like it shoul to be. The teriyaki sauce was tasty. It could be better if the salmon wasn't overcooked. 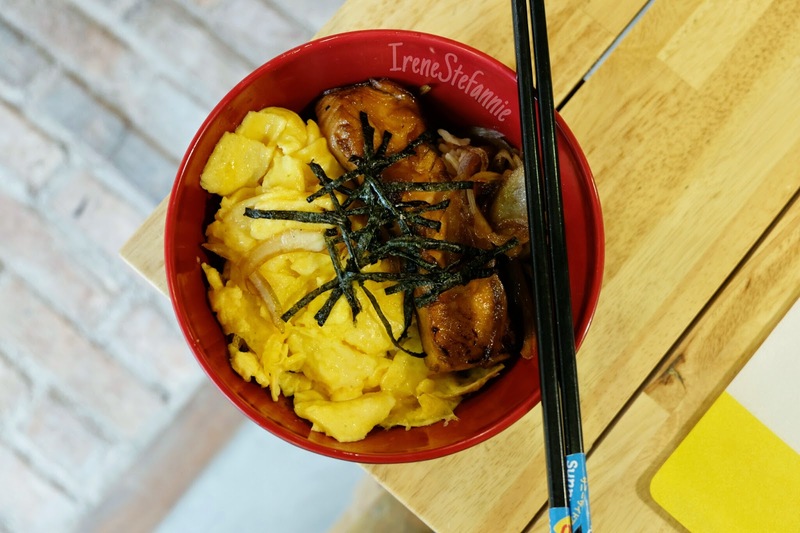 Overall, I think Sunny Side up is a good place to hang out with friends or family.